Unwanted guests are never fun, especially when you can’t ask them to leave. Luckily, Killarney pest control companies have no problem kicking them out. Whether there’s a rodent in your basement or insects in the attic, call your local Killarney exterminator to take care of them — do not try to wrangle them out yourself! Not sure which type of home pest control service in Killarney, BC can tackle your issue? Read profiles and ask about their past experiences to get a good idea. 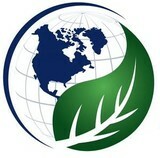 Government certified pest control specialists serving the Lower Mainland since 1993. Service avaliable in English and Chinese. No one appreciates uninvited guests. If you're looking for effective pest control in Surrey, Abbotsford, Victoria, Vancouver or the surrounding areas, call The Pest Detective! Our team provides thorough inspection and extermination to protect you, your loved ones, and your property from dangerous or bothersome pests like rodents, insects, and other wildlife. 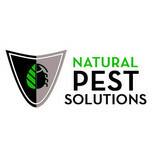 We visit homes and offices to offer environmentally-friendly, non-toxic pest control solutions. 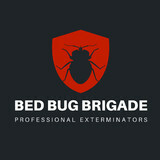 Call us today if you suspect the presence of any: Ants Bed bugs Fleas Mice Raccoons Rats Skunks Termites Or other bothersome bugs! The Pest Detective is here to help. To protect your privacy unmarked vehicles are available upon request. We can respond to your calls or emails 24 hours a day. With a team of professional, university-trained technicians, we’re the pest control Vancouver has trusted since 1986.